Google is great as a search engine and currently has more than 89% market share. But it is not just a search engine, it has much more to it. You can do dozens of other things with the Google search box, like using it as a calculator, converting currencies, changing values from one unit to another, getting exact definitions of words, and a lot of other things. If you want to search the meaning of a word, you would most probably search the word on Google, then go to some of the websites listed at the top and try to find the real meaning. But there is an easier way too. 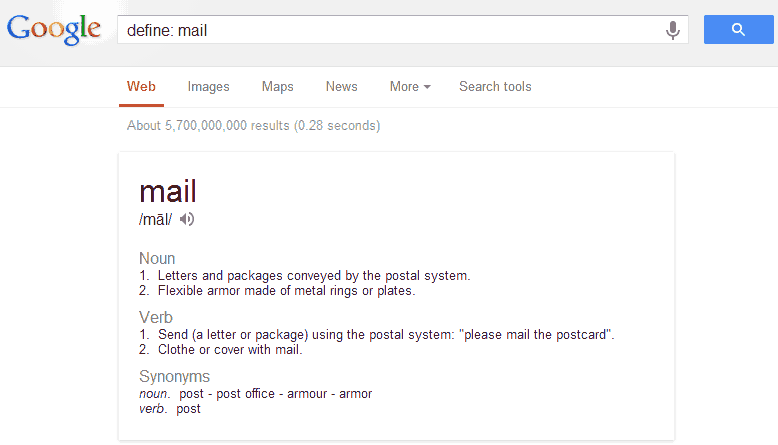 Just add “define:” at the beginning of the word, and Google will give you the exact definition. 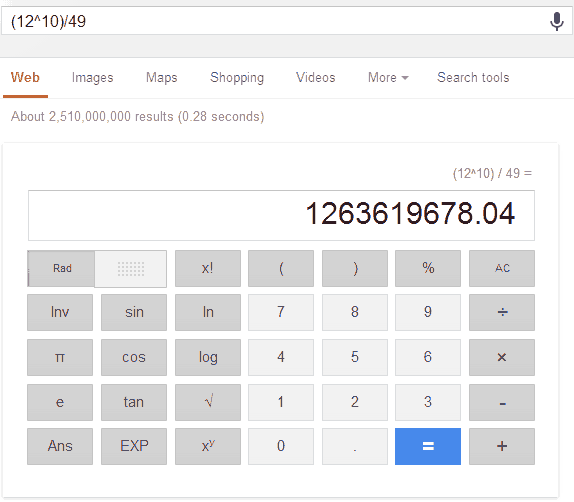 Google can do any of your mathematical calculation, be it adding two number or a calculation involving exponents. It handles complex calculations very easily too. Just type in the mathematical equation to get the output, or search for “Calculator” to open a visual calculator on the search results page. I am used to searching everything on Google, even the Wikipedia articles. Wikipedia is the best resource for getting information about any company, but Google itself can be used for finding key details of any company. Just search with any popular company name and Google will give its key details along with the search results. Like with brands, Google also shows you key information about famous people. You can very quickly know the basic information, the DOB, Education, Family members, Height, etc on the search page itself. 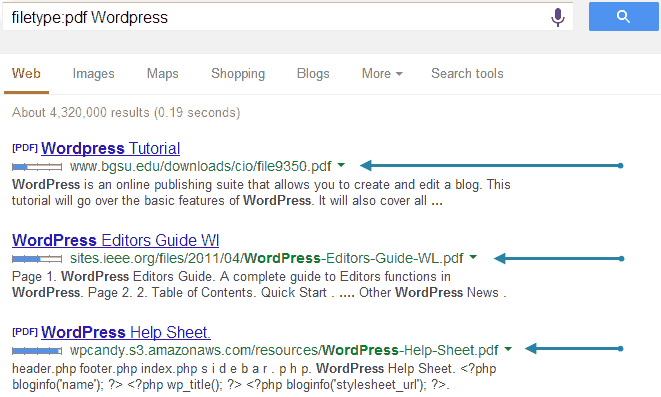 Just search with the name and the info will appear on right side of the Google Search Results page. There are many website and widgets available for getting up to date currency rates. They even convert the money from one currency to another, but first you need to find those websites and then learn how to convert using their tool. But Google itself has an in-built currency converter, and that too with always up to date currency rates. Just search for “Currency Converter” and Google’s Currency Converter will pop up, which allows you to convert money from one currency to another. You can also perform a search like “Dollar to Rupee” to open the currency converter with your typed currencies. If you are on a hunt for specific files, like PDF if you are searching for any online manuals or support documents, then you can use the “filetype” keyword to specify the type of files you are looking for. Like, if you want to search for PDF files on WordPress, you can type “filetype:pdf WordPress” which will list only the PDF files related to WordPress. Converting units has always been a difficult task. There are so many of them if you think for learning, and always opening your favourite units converter can be a difficult task. Don’t worry, Google is here to help. Just type it in a sentence, like you would normally ask someone and Google will reply you with the converted units. For example, search for “20 kilometers to miles“, and Google will give you the converted result. 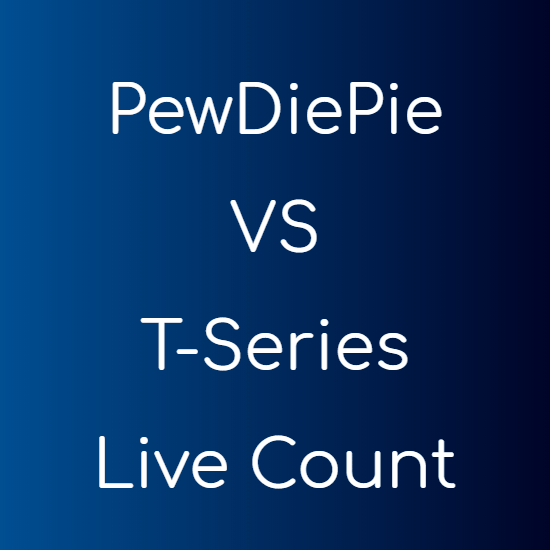 It not only displays the result but opens a visual unit converter, which can then be used to convert any unit of Mass, Length, Temperature, Speed, etc to other units. If you know that the information you are in search for is available at a particular site, then you can perform a site specific Google search. 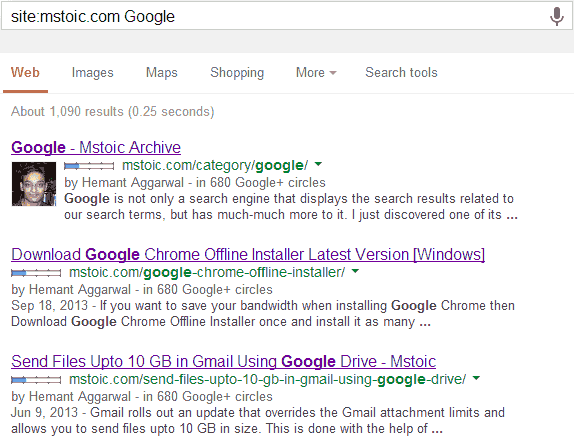 Like you know I write about Google and you want to search all my articles about Google, then you can search for this string: “site:mstoic.com Google“. This will give you all the pages about “Google” on this website only. If you search for (cold cream in India), then Google will give you results containing all these words, but will not see if all the words appear together or are in the same order. To search for an exact phrase you can surround your query with double-inverted commas (“). Search with the phrase (“cold cream in India”) and you will get the results containing all these words together and in the same order as in the query. The two queries could result in the same results because Google by default tries to find the best matching pages, but if your search term is long and not very common, surrounding it with inverted commas will show its benefits. Suppose you are searching for “Best Computer Chips”, and you do not want to buy or read about AMD chips for any reason. 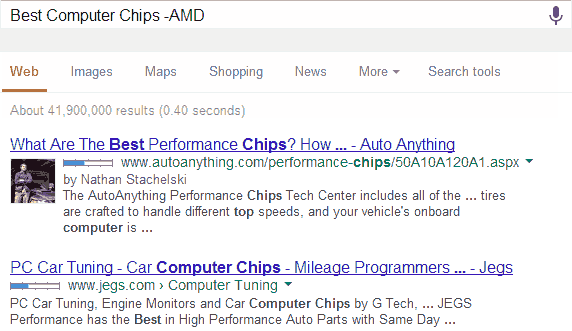 Then you can tweak your query to search for best computer chips excluding AMD like so, “Best Computer Chips -AMD”. If you want to find out time in any country, you no longer have to look for the time difference between yours and the other country and then calculating it manually. Just Google it like “time in India” and find the answer. This is not a tip actually, but if you type capital letters in Google search to make sure you get results back with capital letters, then you are wasting your time. Google and most other search engines don’t take the “cases” into account. Ever thought of comparing any two fruits according to what and how much carbohydrates, vitamins or proteins they contain? If yes, it’s now dead easy using Google. 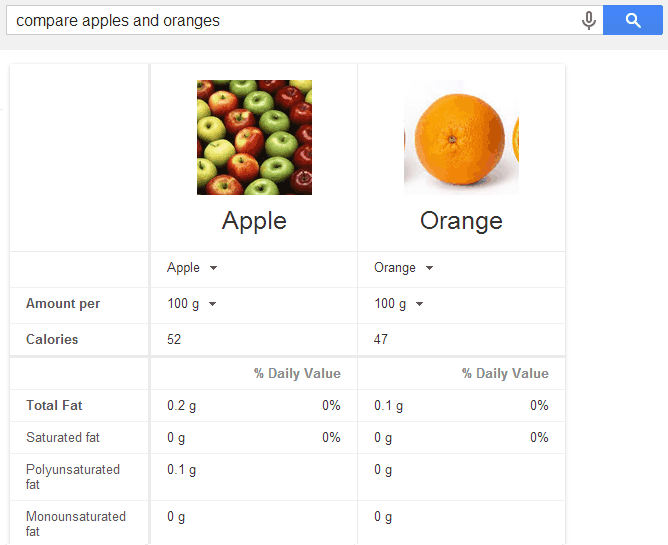 Just query Google with a phrase like “compare apples and oranges“, and Google will return you the type of carbohydrates, fats, proteins and vitamins they contain along with their quantity.